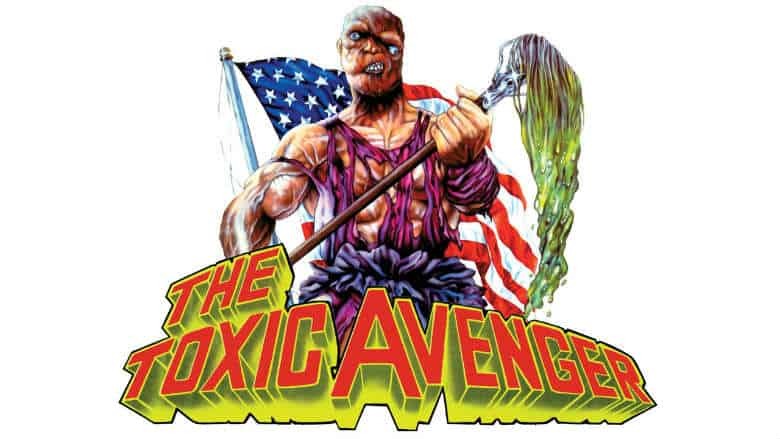 Toxic Avenger Reboot Hires Writer | Nerd Much? The Toxic Avenger became a cult classic after hitting the famed Bleecker Street Cinemas in late 1985. It spawned several sequels, a stage musical, a video game and a kids cartoon too. Now the franchise is hoping for a comeback, and The Toxic Avenger reboot has hired a writer to help do so. Variety reports that Legendary Pictures has brought on Macon Blair to write the script for The Toxic Avenger reboot. Blair has spent the majority of his time in the film industry as an actor. But more recently he’s been behind the camera in the role of writer and director. A few years ago, Blair wrote and directed I Don’t Feel at Home in This World Anymore. The movie won Blair the Austin Film Award at 2018’s Austin Film Critics Association. And Blair won the Grand Jury Prize: Dramatic category at the Sundance Film Festival in 2017. The movie now has a home at Netflix. As for The Toxic Avenger reboot, Blair’s new take likely won’t stray too far from the original source material. Written and directed by Michael Herz and Lloyd Kaufman, the film is described as a superhero comedy splatter flick. The original had a B-movie, campy feel. And it became renowned for featuring a ton of comically gruesome violence. The plot revolved around a young man from New Jersey. Working as a janitor, the dweeby fellow was relentlessly harassed by bullies at the health club he worked at. One day those bullies began chasing him, and in an attempt to escape, he fell from a window and landed into a drum of toxic waste. The chemicals transformed the once weak man into The Toxic Avenger. Who then vowed to take down bullies and the corrupt in spectacularly disturbing ways. No timetable was revealed for when we may see The Toxic Avenger reboot in theaters. But Variety states that Legendary has made the project a priority. Lloyd Kaufman and Michael Herz and on board as producers, with Alex Garcia and Jay Ashenfelter shepherding the film for the studio. Whether you’re a fan of horror, sci-fi, or comedy, you should find something to like about this absurdly over the top franchise.